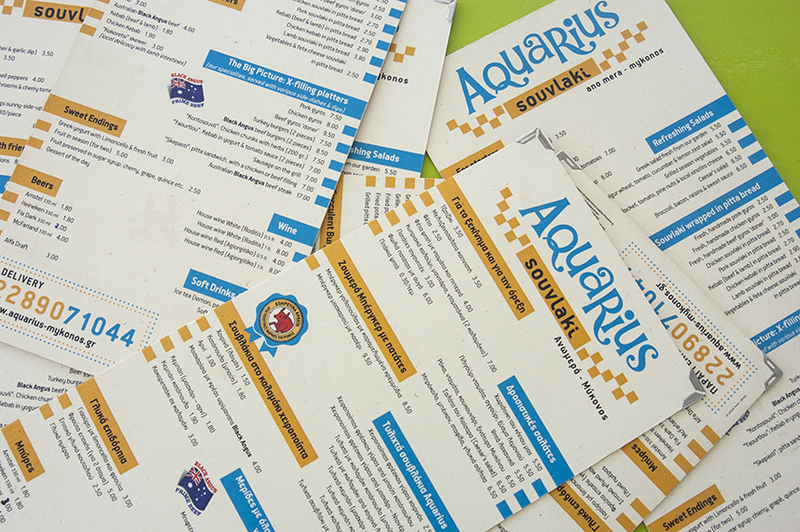 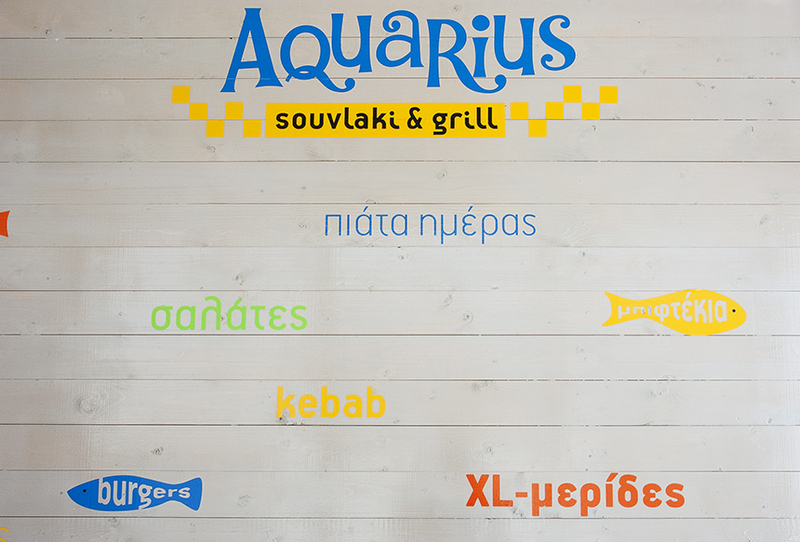 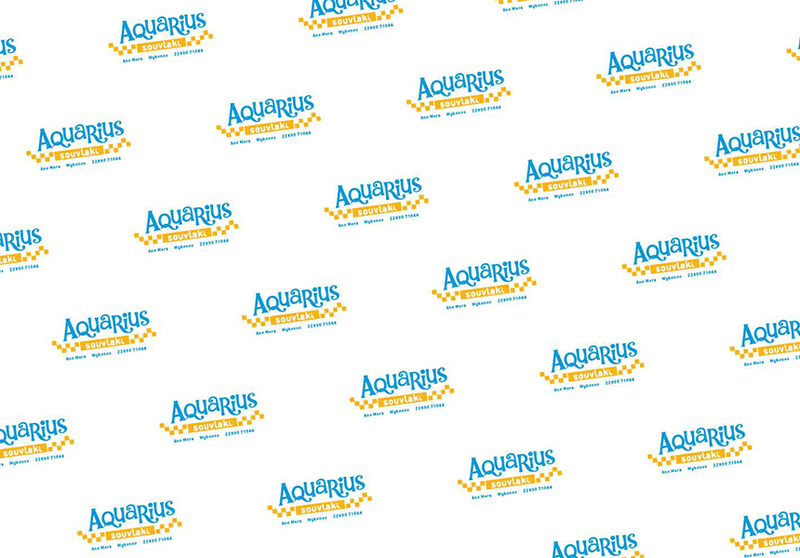 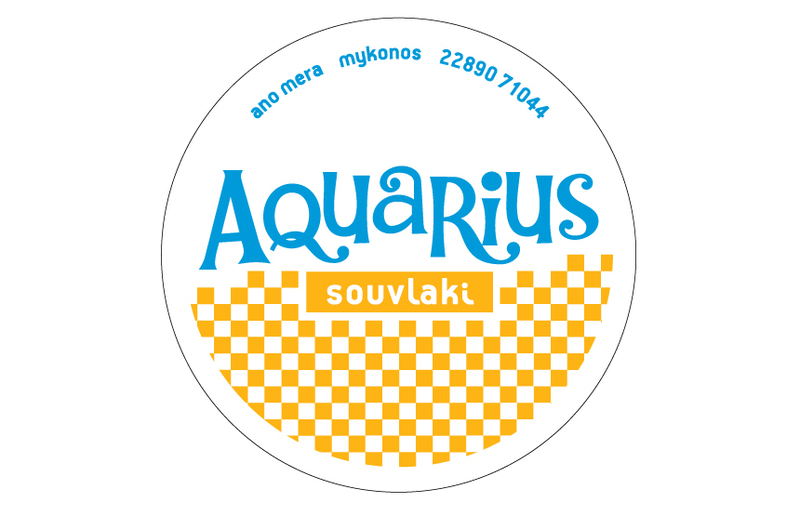 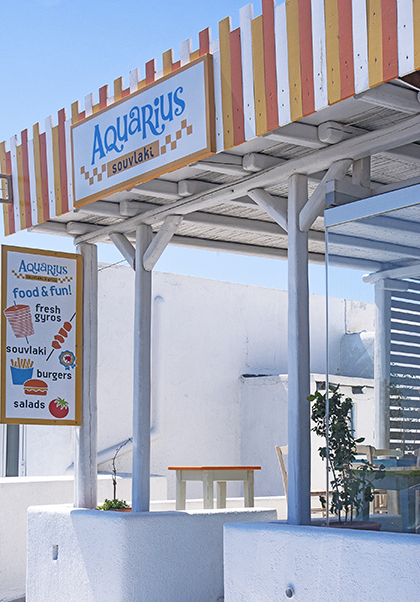 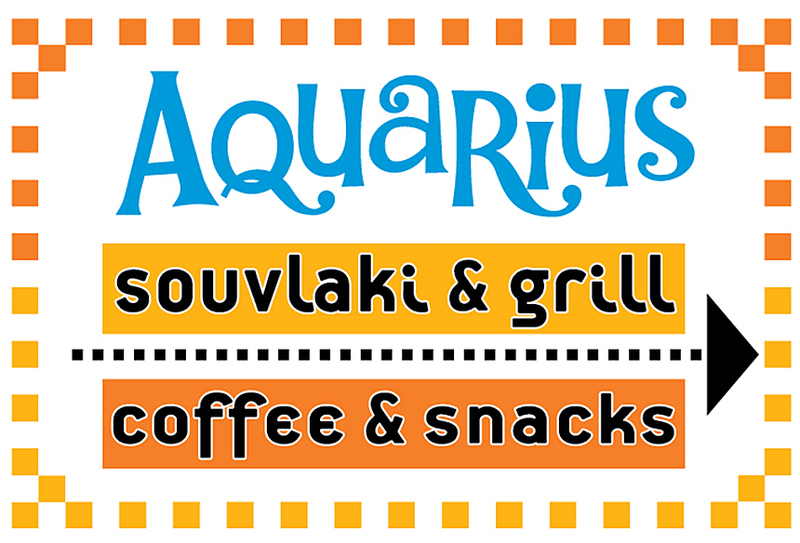 This project included a redesign of a previous 'Aquarius' logo done by us in 2001. 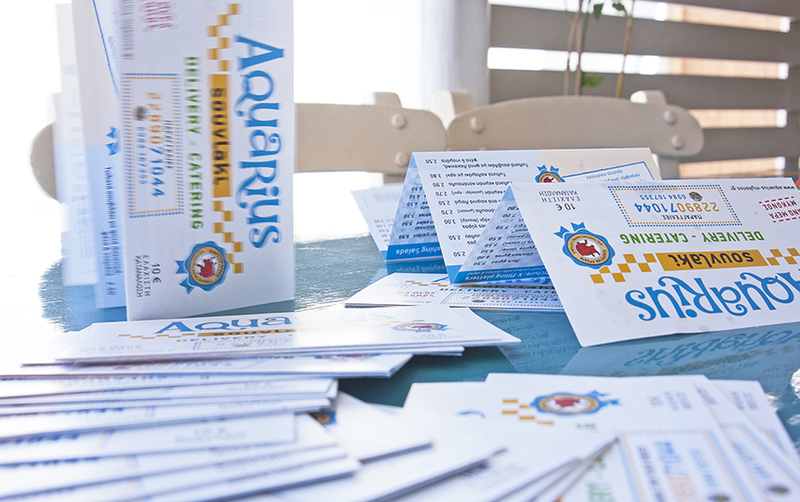 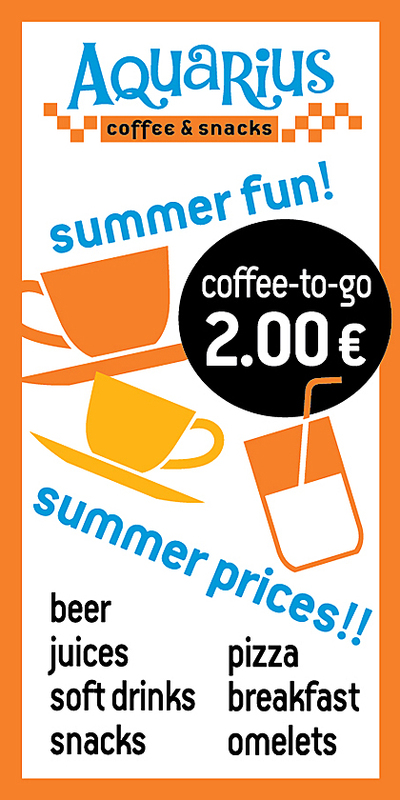 The new identity was applied to signage, printed matter, packaging material and decoration. 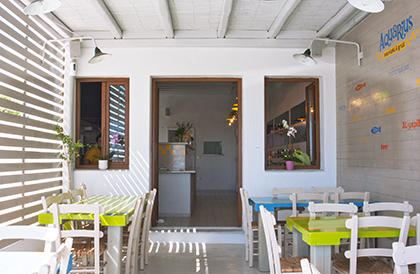 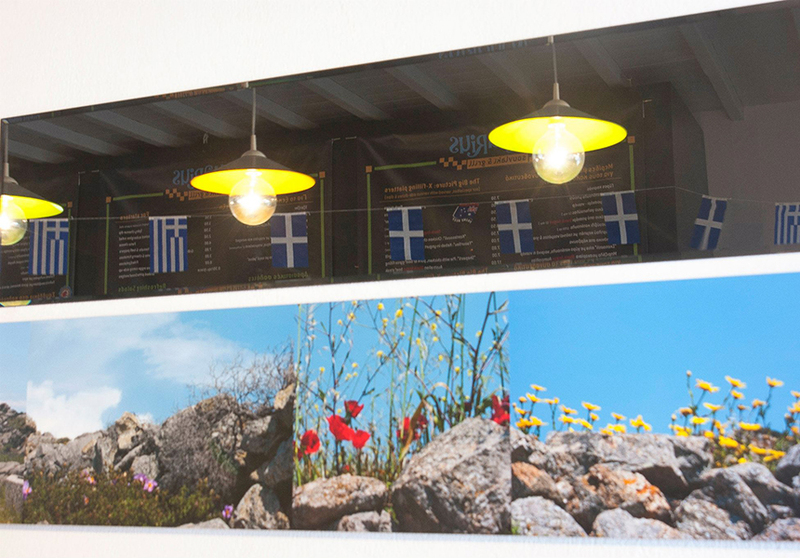 In the interior, three panels with Mykonos photographs by Vangelis Pelekis, were placed on the opposite wall of the service counter. 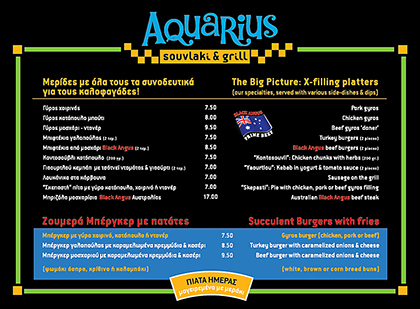 The contents of the menu itself were a result of our food consulting and sourcing efforts, introducing pure greek ingredients and flavours combined with best quality meat. 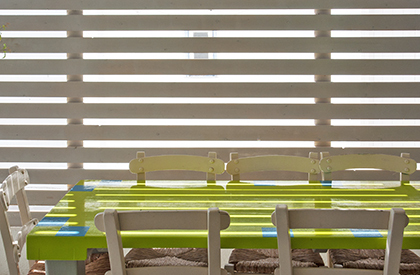 Decotation for the interiors. 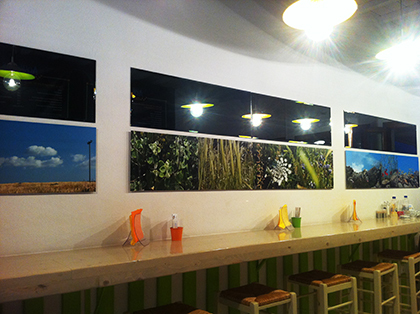 Photos by Vangelis Pelekis. 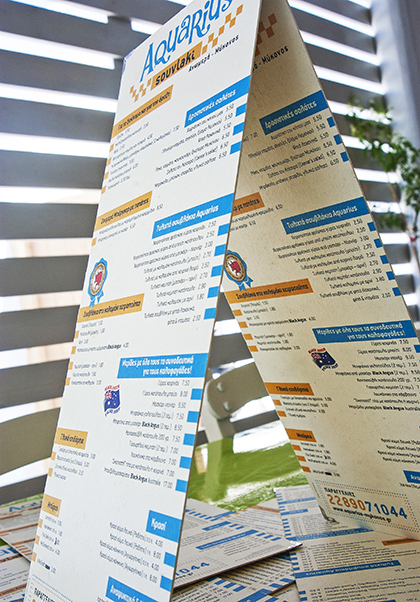 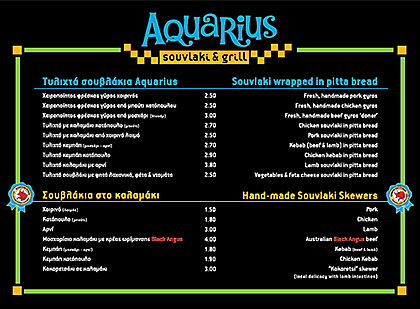 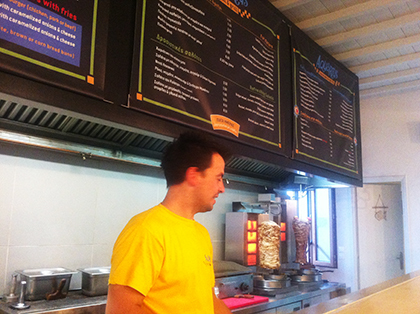 Interior panels with the menu.